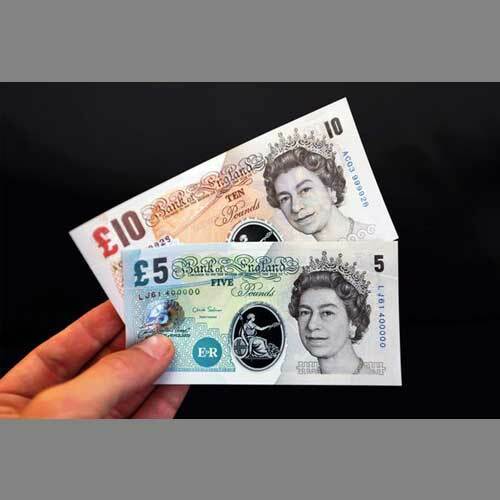 The Bank of England spent more than £1,500 a day on consultation to find an alternative for animal fat that is used for making new polymer banknotes. From 30th March to 12th May, the Old Lady of Threadneedle Street spent £66,941 on a public consultation after vegetarians, vegans and religious groups protested against the fact that tallow is found inside polymer £5 and £10 notes. After a lot of research and considerations, finally, in August, the Bank decided that it would continue using the plastic currency, even though 88% of people were against the decision. Many people think that the Bank shouldn’t have used taxpayers’ money for this expensive consultation. Over 138,228 people have signed a petition against the use of tallow to make new polymer notes. The only other alternative was palm oil which would cost extra £16.5 million over the next 10 years. It would also lead to deforestation in South America. 48% of the respondents through the consultation were also against the use of palm oil-derived additives. Tallow, on the other hand, is used in debit and credit cards, mobile phones, carrier bags, cosmetics and household detergent. The £5, £10 and the new £20 note contains only 0.05% of animal products. Adding to the public discontent, interest rates would rise for the first time in over 10 years to 0.5%. People are angry because they think that a lot of taxpayers' money has been wasted.